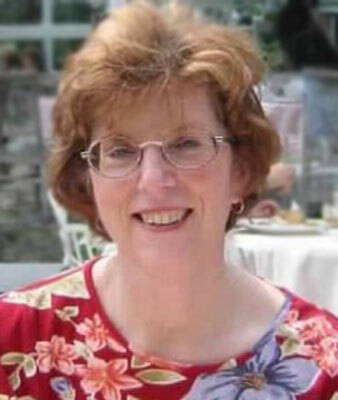 POLAND - A Mass of Christian Burial will be celebrated Thursday morning at 11 a.m. at St. Charles Church for Paula Marie Higgins, 70, who died Thursday evening at the Assumption Village. Paula was born June 21, 1948, the daughter of Paul and Margaret Kaufman Higgins. She was a 1966 graduate of Cardinal Mooney High School and received her Bachelor of Science in Nursing and Master’s in Surgical Nursing from Youngstown State University. She was a member of St. Charles Church, the St. Elizabeth’s nursing auxiliary and the Catholic nurses association. She is survived by her beloved, Larry Harding of Poland; four sisters, Agnes Krevetsky of Boardman, Peg Foreman of S. Amboy, N.J., Patricia (William) Blascak of Austintown and Marilyn Sferra of Cincinnati; and many nieces and nephews. Friends may call for one hour prior to services, Thursday morning at St. Charles Church. The family has requested that material tributes take the form of donations to the donor’s favorite charity in Paula’s memory. Professional arrangements are by the Higgins-Reardon Funeral Homes, Boardman-Canfield Chapel.